Great edition today on dealing with medical errors from the doctor's and patient's perspective over at Running a Hospital, the blog of Paul Levy, President and CEO of Beth Israel Deaconess Medical Center in Boston, MA, USA. 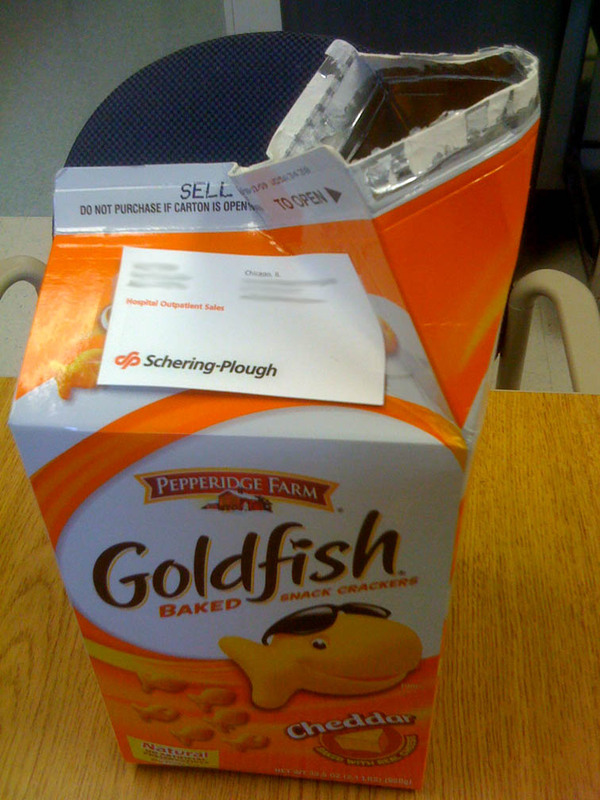 So what did the patient bring? 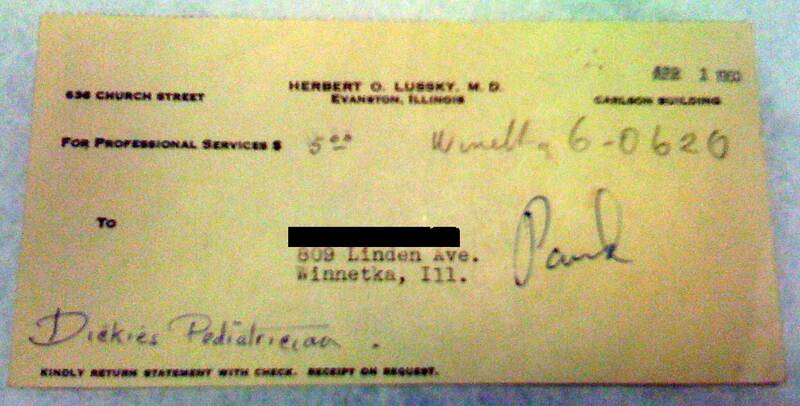 His pediatrician's bill. His mother described him as "the best pediatrician in Evanston" at the time. No billing service. Cash. It certainly stands in stark contrast to office visits today. Guidelines: Our New Health Care Derivatives Market? I didn’t attend the American College of Cardiology meeting in Orlando, FL this year, mainly because I am concerned about my ability to pay for my son’s college. I do not quality for financial assistance for his tuition so I cannot afford the luxury of attending every cardiovascular meeting each year right now. I’m sure many Americans feel the same way, particularly those who have seen their retirement savings evaporate in current economic mess we’re in. People are angry, frustrated, and dumbfounded that our political and financial leadership failed to realize the consequence of their actions when they permitted banks to lend more than they had assets to cover. I mean, who knew, right? But back in the not-so-distant “glory days” of banking, it was all about “OPM:” other people’s money. You know: using other people’s money to buy a house. Using other people’s money to leverage a shopping center. Using other people’s money to buy some risky asset and sell it to another person so you could all reap some profit. OPM was the financial way to get ahead at almost no downside risk to you. What was not to like? If things went bad, well, it was other people’s money! … all on the backs of OPM. Health care is kind of like that, unfortunately. We use OPM all the time when we pay for expensive treatments and procedures and don’t have a clue what it costs. Now, though, we get ridiculously inflated prices sent to us on our “Explanation of Benefits” from our insurer and are all too relieved, yes, relieved I tell you, that OPM has picked up so much of the tab for our health care. It’s a noble initiative, funded by OPM, to demonstrate our cardiology societies deep commitment to help President Barack Obama reduce health care costs. But like most things with OPM, the details of the cost savings afforded by this initiative are quite vague: especially when the new guidelines include expensive medical devices to be used as therapy now, when in earlier guidelines, there were none. Not to say that these devices may not have been shown to improve symptoms and longevity in heart failure. They certainly have. And to that extent, these guidelines are exceptional because they put the patient’s health first. When we use OPM, we don’t care about cost. OPM will pay for our guidelines’ implementation. Look how we’re helping our patients live longer! OPM will pay for the electronic medical record that will screen the chart for the patient’s ejection fraction and make sure the patient gets the proper test and therapy that is recommended by the guidelines. After all, our goal is to reduce heart failure readmissions by 20% in 2012! No need to worry what it will cost! What’s the risk? Hey, it’s OPM! And unfortunately, just like the banking fiasco, this OPM will some day run out. The pot of gold is not limitless, but there are few doctors admitting this. We can’t. We are bound by ethics to preserve life that are in direct conflict with our duty to help our patients remain fiscally solvent. And yet, with our children’s health care and our national economy on the brink, I wonder if we’re not being ethical to our future generations’ patients by not asking these tough questions right now. As we pour money into health care and our banking system, perhaps we should first view this Time Magazine photo essay to remind us of the potential perils of such a plan. 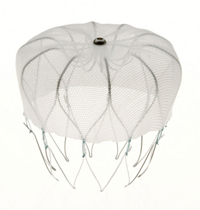 The results of the PROTECT-AF trial, the trial testing the "non-inferiority" of the WATCHMAN left atrial appendage occlusion device manufactured by Atritech to the blood thinner warfarin, are in. Things look, well, I'm not sure. At least they seem to have proved "non-inferiority" of the therapy against warfarin (Coumadin) in terms of all strokes. For interventional cardiologists and electrophysiologists, that's a big deal. But there were twice the upfront safety issues deploying the device: most often pericardial effusion, but some air emboli and device embolizations occurred. Granted, this was a first-generation device and the experience with this procedure was non-existent. No doubt the learning curve was significant for both doctors and the manufacturer of the device. theHeart.org (aka "Heartwire") did a much better job discussing the intricacies of the trial design, limitations, and the results than I could in this brief blog post. I'm not sure I can add much to their excellent reporting and commentary from the experts involved in the trial. What is clear from the trial is that warfarin can be dangerous and so can the devices. The hope with this device (and others like it) is that as time goes on, the upfront complications of the device implant procedure will be more than offset by the ongoing and never-ending potential bleeding complications encountered with warfarin. Right now, though, with the small number of patients studied and the short follow-up, it looks like a relative draw. 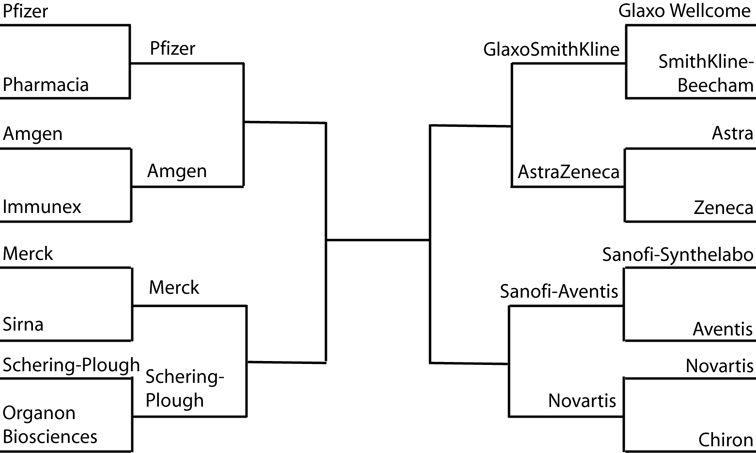 In this area of "comparative effectiveness research" and cost-cutting, will the data be strong enough for the FDA to grant approval? We'll see. I had an opportunity to observe a Watchman device be implanted last Monday. Suffice it to say: it's a fairly complicated procedure an the full costs of this procedure are probably not just wrapped up in the device cost. After all, this is not just putting a sophisticated cork in the opening of the left atrial appendage. There's the pre-operative assessment of the left atrial appendage anatomy, preferably with CT of the heart, but more likely with transesophageal echocardiography. Then there's the general anesthesia and the transesophageal echo being performed throughout the procedure by a skilled cardiologist (or anesthesiologist) who is NOT the one putting in the device. Then there's the transseptal catheterization where a sheath is placed from the right atrium to the left atrium and upsized to a hefty 14-French delivery sheath. And there's all those lobes of the appendage - heck, I always thought there was just one - that add a degree of difficulty to placing the device so it occludes all the lobes. Then there's the little tug on the device to make sure it has expanded correctly so the little barbs seat correctly to secure the device in place. And then there's the follow-up measurements and assessment of flow around the device, and the retrieval that's needed if these things don't seat correctly (yes, it can be retieved if needed before it's deployed). An then if they're not just right, you will need to discard that device for a new one, because you see, the barbs might be bent by the retrieval and might not secure the device during a second try. But once the new device is seated just right, the tug test secure, the measurements proper, then comes the moment of truth: where the device is deployed. And there's that brief sigh heard collectively in the room when it appears to have attached just fine. And the equipment is removed from the heart. I can't imagine what it must have felt like in the few cases where the device wasn't secure. Ugh. But as it was, there were high fives all around for a (conservatively) two-hour successful procedure. These procedural issues are significant but might become streamlined as experience is gained at implanting this devcie. Still, this is not a simple "chip-shot" procedure and the risks of implantation will need to be carefully balanced against the risk of warfarin complications if this device becomes approved. "It is the story of Jerry Jalava, 29, a self-described software developer from Finland who lost part of his left ring finger in May in a motorcycle accident. Now, he says, he wears a prosthetic finger made of silicone, which looks fairly natural -- except that he can peel back the tip to uncover a USB drive tucked inside." 2 gigs, no less. More pictures here. From their press release, AT&T could give a whole new meaning to "dead zones:"
"Mednet, a leading provider of cardiac monitoring products and surveillance services, is helping doctors and patients remotely monitor heart arrhythmia through personal mobile devices. Under a new contract with AT&T, Mednet's HEARTRAK External Cardiac Ambulatory Telemetry (ECAT) solution will facilitate wireless monitoring of patient devices via Bluetooth-enabled cell phones across AT&T's expansive 3G and EDGE wireless data footprint, which covers more than 13,000 cities and towns and 40,000 miles of highway across the country. Until now, patients using Mednet heart monitors utilized a toll-free number and had to place their monitoring device near a landline phone receiver to send a signal to a central monitoring center." Ah, it used to be such a simple affair. BLAM! A few gazillion volts were applied across the chest to restore the heart rhythm to normal. The patient would reflexly jerk, sometimes catching the doctor between the legs with their flailing hand. 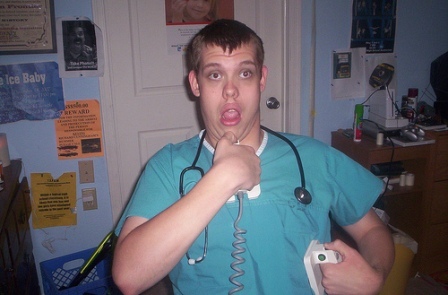 A nurse would chuckle as she supported the airway while the doctor tossed his cookies, then grabbed the closest chair to regain his composure, all the while sputtering to thank the nurse for her assistance with the patient, but next time, could she please place a sheet over the patients hands and arms to prevent this kind of thing? In those days, costs were low, treatment effective. Nurses and doctors had time to monitor the patient. By and large, patients did well. The glory days of medicine. Today, the procedure is the same, but very different. No longer is cardioversion performed in the office, but the hospital. Why? They tell me it's safer. It certainly is easier for me. No more hassle and worry. Just schedule it, have the patient all prepped and ready to go. We have anesthesiologists and nurse anethesthetists who manage the airway for me, sophisticated monitors that record oxygen saturation, blood pressure, respirations, and a whole host of other parameters that we never use. We say "time-out" and make sure we have the the right patient and we're shocking the one heart in the center of the chest and not another heart somewhere else. We have biphasic defibrillators that are effective with only 100 joules instead of 360, but we have the 360-joule model just in case a patient is the size of Toledo. We give innovative (and expensive) ultra-short anesthetics that metabolize so fast that respiratory complications are rare, but the credentials committee has deemed can only be adminstered by an anesthesiologist or his or her nurse helper. We use bite blocks or rolls of gauze to prevent a patient from accidentially biting their tongue. And we get an EKG after the procedure to show the lawyers we really did what we said we did, see? And the whole thing is documented on an electronic medical record that records the drugs, and the vital signs, the pre-sedation note, the procedure note, the diagnoses, and ties them to the right ICD-9 codes, and shoots the bill to the coders, billing consultants, business managers and insurers, all at the speed of light so the bill is posted before the patient even awakens. All as the doctors and nurses work as a team to assure a pleasant experience for the patient and their family. Yes, the glory days once more, but different. And the patient goes home, just as before, with the chance for legal liability reduced. It is safer and more efficient for everyone, really it is. (Although I've not seen the data on this, except here). And soon, we'll reach even better heights, with more coding, efficiency, safety initiatives, and oversight. More efficiency. More safety. And fewer medical errors. All while holding down the costs in our new, improved health care system of tomorrow. Yep, we'll reach the land of milk and honey and the glory days will be even better. Except when they still forget to strap down the patient's arms. Much has been written about the first 100 days of any new President's term in office, but what about the first 100 days after a life-long amputee gets his first "bionic" prosthesis? Meet Darin Sargent, the proud recipient of the "i-Limb" (from Touch Biotics), the Ferrari if you will, of hand prosthetics. I stumbled upon his blog after I noticed once of his videos showcasing one of the shirts from our Medtees website: "Dude, Where's My Arm?" " I was born missing my left arm from just below the elbow down and have pretty much been able to accomplish what I have wanted to in my life. This journey is a whole new ball game. From the emotions of taking this step to the challenges of using the i-limb, this is going to be quite a ride. 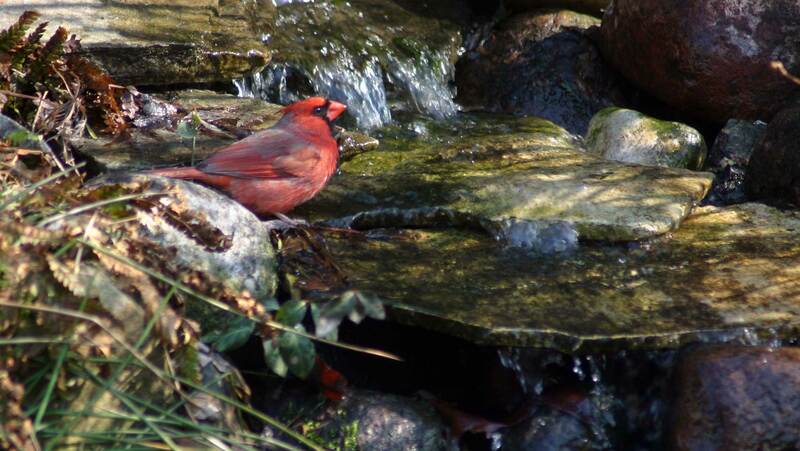 I thought that I would use this blog to chronicle my journey." As an engineer at heart, I found the inner workings of the prosthesis and how it's worn particularly interesting, but it pales in comparison to the encouragement and support he lends to others with similar issues through his videos and blog. How Bad Is It for Hospitals? "The University of Chicago Medical Center has pulled its membership from the American Hospital Association, the nation's largest hospital trade group and lobby. AHA spokesman Rick Wade confirmed the U. of C. move, "citing financial considerations." He wouldn't say how much the medical center was paying in annual dues." If other hospitals follow suit, what will happen to the lobby's effectiveness on the Hill during "reform" talks? Barely out of the starting block with their new model of implantable cardiac defibrillators, Boston Scientific issued an advisory (pdf) on their new line of COGNIS CRT-D and TELIGEN implantable cardiac defibrillators. TELIGEN ICD products, model numbers E102, E110, F102, F110 and COGNIS CRT-D products, model number N106, N107, N118, N119, P106, P107 are affected. This line of ICD's has a sensor that detects the patient's respirations which can be programmed ON or OFF. This advisory only affects the devices with this respiratory sensor programmed ON. It seems at this setting, certain potential right ventricular lead complications such as chronic lead fracture and acute lead connection issues may cause additional oversensing, thereby increasing the probability of the device failing to pace appropriately or giving inappropriate shocks. The company recommends programming the sensor to OFF, thereby correcting the problem. More information and links to Boston Scientific's physician letter can be obtained from the Heart Rhythm Society's website. Dr. Wes: "I wonder if I could treat a pregnant woman, 36 weeks gestation, who wants to breast feed, is hemodynamically stable but has atrial fibrillation with rapid ventricular response unresponsive to digoxin/beta blockers, with short-acting Ibutilide?" Dr. Google: "Several case reports exist treating pregnant patients with atrial fibrillation and atrial flutter without injury to mother or fetus and with no adverse effects." The Neonatologist: "Ibutilide? Has teratogenic potential at high dose in animals, including cleft lip and scoliosis, but at 36 weeks?...Maybe... Let me check with a pediatric electrophysiologist..."
Pediatric electrophysiologist: "We've used it in kids, but very cautiously... Never in pregnancy." Pharmacist: "We have some concern, given the lack of human data." ACC Guidelines 2006-Atrial fibrillation in Pregnancy(pdf): (Level of evidence: II-b or not II-b): "Ancient ineffective antiarrhyhmic drugs like quinidine sulfate or procainamide are generally thought to be safe in pregnancy." Guess which drug I used? Although I'm not proud of this, I caved to the paranoia. She stayed in the hospital another 18 hours because of it. A small price to pay, I suppose, but I am convinced I did not render the best care, just the safest care... for me. It never ceases to amaze me how the threat of litigation constantly influences the medical care we deliver. What Does An EMR Really Cost? I had an interesting conversation with a cardiologist-colleague of mine who works in an 8-man private practice cardiology group in North Carolina last evening. He discussed with me the challenges his group is having wrapping his head around trying to convert his practice to an electronic medical record (EMR) system. "They want $350,000 for 8-man practice," he said. "And that doesn't include the need for new hardware every five years, and the costs of ongoing on-site technical assistance. No one talks about the future costs of maintaining an electronic record, but boy, they sure are eager to get you to buy one." "Over $40,000 per doctor? What would it cost to add another person to your practice?" I asked. "I really don't know, the conversation never got that far." "Physicians using electronic records will be eligible for more than $40,000 each in Medicare incentive payments over several years starting in 2011. Hospitals can also qualify for millions of dollars in incentive payments (editors note: huh?). Doctors and hospitals not going electronic by 2015 will be subject to penalties." Both bill outlines would give docs who e-prescribe a 2% bonus in 2009 and 2010. Those who don’t use e-prescribing would see their payments cut by 1% in 2011, and by 2% in 2013 and beyond." Now, do you wait until 2011 to make a purchase and get penalized by the government's own e-prescribing rule, or bite the bullet now and risk losing the government's stipend for an EMR purchase? I bet they wait 'til 2011. I would. Much has been written about our soon-to-be-thrust-upon-us “change” in health care delivery. I keep hearing about how our system is “broken,” untenable, limits access to the “47 million” uninsured, and needs immediate change. And yet somehow I do not see a broken system each day. Currently, I see people coming to emergency rooms and being cared for faster than ever. I see people who actually are appreciative of the health care they receive more than those who are disgruntled. I see doctors working late hours to clean up their work as they struggle to get home in time to catch the end of their daughter’s play. I see surgeons reaching in bellies at all hours of the night with miraculous instruments as they pluck an inflamed appendix from the depths of the pelvis. I see state-of-the-art facilities, instruments, and automation. I see quality of life changed by neural stimulators that permit a patient with Parkinson’s to walk again. I see lives restored by biventricular defibrillators that can be checked from the patient’s bedroom or the countryside. I see teams of people devoting enormous amounts of energy to achieve health care “perfection” preventing infections, bed sores, medical errors while simultaneously trying to control costs. In short, I see a team effort of all involved, working together with the common goal of trying to take care of patients well in a remarkably competitive environment fraught with unbelievable regulatory requirements only rivaled by the nuclear power industry. You know, do we see the glass half empty, or do we see it half full? I think, right now, right here in the good ol’ U.S. of A., we’ve got a pretty good health care thing going. Most kids get vaccinated, people are getting the anti-smoking message, people are living longer, and patients are empowered with information like never before. Oh sure, we've got a long way to go, but haven't we done some miraculous things with our current system? But we fail to see this for what it is. Instead, we hear that fetal mortality higher in the US than other “developed” countries, that we spend more per capita than any other country in the world with “poor quality.” And yet, I see more ninety-year olds on the wards now than I ever did as a medical student or resident. Is this just me? Is this because we’ve done a bad job at caring for these individuals? At least a few brave souls have disputed some of the assumptions. And there are certainly plenty of others who want to make sure we understand the problems. (Like there won't be any problems with the alternative). Oh sure, there are the scandals, the mistakes, and patients with just plain bad care, but taken as a whole, is America’s health care as bad as we’re being led to believe? Could at risk for throwing the baby out with the bath water? I wonder because while some report there are 47 million uninsured, why do we never hear about the 253 million who are insured? Oh sure, many have to pay higher premiums and co-pays, and those payments are rising faster than water in the Titanic, but could there be another alternative policy for change that preserves the good in our system while meeting the needs of the disadvantaged? Is a health care system like the Department of Motor Vehicles drivers license facility or the VA Health System really what each of us wants? As we ponder this vision, perhaps we should ask ourselves if these “lowest common denominator” policy initiatives in vogue right now might lead us to just that. Nancy H. Nielsen, MD, PhD, the American Medical Association's internist point-person on the Hill, offers her take on the negotiations for health care reform from the physician-lobbyist's perspective so far. ... twenty-three years later. Amazing. I'm not making this up. I saw this on TV tonight. It seems CBS Broadcasting has teamed with the advertising giant Marden-Kane, Inc. and Loews Regency Hotel to develop the CBS Cares Colonoscopy Sweepstakes open to 40-79 year olds. Yep, that's right: people under 50 are eligible, even though they should not be screened for colon cancer. "When the colonoscopy is about to begin, you'll be given drugs which will make you feel like you're at Woodstock... only without the music. If you start to believe that you actually are at Woodstock (for example, Dr. Miskovitz starts to look like Jimi Hendrix or you feel inclined to say "far out!" in response to questions), please report the side effect to Dr. Miskovitz or Jimi Hendrix (whomever you see first) immediately." While sounding like I might have a cob up my... well, you know... I wonder, what in the world are they promoting? A free "high" or colon cancer screening? Is this how we discuss screening tests now? Where are the risks of colonsocopy and sedation discussed? How will the list of people who register for the "free" colonoscopy that don't win be used? I wonder, will they be targeted later by the posh Center for Specialty Care, with its origins in plastic surgery and where the colonscopy will presumably take place, for mailings about more testing? "If you post personal information in User Forums or on other publicly available areas of the Web Sites then you may receive unsolicited messages from third parties. Company cannot ensure the security of any information you post on publicly available areas of the Web Sites. Under no circumstances will we be liable in any way for any of Your Upload Information including, but not limited to, any errors or omissions in Your Upload Information, or for any loss or damage of any kind incurred as a result of Your Upload Information." "Your Upload Information will be treated as non-confidential and non-proprietary and we will not be liable for any use or disclosure to anyone, including but not limited to claimed intellectual property owners. When you upload Your Upload Information via the Web Sites, you irrevocably grant to Company, its parent, subsidiaries, affiliates, and partners a non-exclusive, worldwide, royalty-free license containing, without limitation, all right, title and interest in Your Upload Information, including, without limitation, all patents, trademarks, service marks, trade names, trade identities, copyrights, trade secrets, logos, domain names, know-how, source code and object code, mask-work rights, inventions, moral rights, author's rights, algorithms, rights in packaging, goodwill and other intellectual property and proprietary rights whatsoever in Your Upload Information. You further agree that Company, its parent, subsidiaries, affiliates, and partners and the directors, officers, employees, licensees and other representatives of each of them will have the unfettered right throughout the universe, in perpetuity, without any credit or compensation to you, to use, reuse, modify, alter, display, archive, publish, sub-license, perform, reproduce, disclose, transmit, broadcast, post, sell, translate, create derivative works of, distribute and use for advertising, marketing, publicity and promotional purposes, any of Your Upload Information or portions of Your Upload Information, and your name, voice, likeness and other identifying information, in any form, media, software or technology of any kind now known or developed in the future for any purposes whatsoever including, without limitation, developing, manufacturing and marketing products using such Uploaded Information. You hereby waive any moral rights you may have in and to any of Your Upload Information, even if such material is altered or changed in a manner not agreeable to you. You agree and understand that Company, its parent, subsidiaries, affiliates, and partners are not obligated to use Your Upload Information submitted through the Web Sites or otherwise, and may alternatively choose to discard, and limit or block access to Your Uploaded Information without any liability whatsoever." Now if these rules don't fly in the face of the privacy intent of HIPAA, I don't know what does. What's worse is this whole cute charade is being "supported and helped" by our own National Cancer Institute. Here's the thing: CBS, through this sweepstake, is offering free health care to one lucky "winner." As such, shouldn't this media company be bound by HIPAA privacy laws, too? Does this campaign really have the patient's best interests at heart or is this really about driving more business to gastroenterologists? Finally, if cancer is found on the screening and the patient is uninsured, who will assume responsibility for ongoing treatment of the patient? ... because that wouldn't be so funny. I have to say it: "Yo dude, it's awesome, can I buy one?" I read this recent article by New York Times business writer Duff Wilson regarding his mother's difficulties managing atrial fibrillation: the need for anticoagulation, ineffectiveness of cardioversion, the side effects of the antiarrhythmic drugs, and her indecision regarding future drug or device therapies. For now she has decided leave her rhythm alone and (hopefully) stick with just anticoagulation. For some, doing nothing might just be the best option, provided the heart rate is well-controlled. Our drugs are just not that effective for atrial fibrillation. Any of them. Even the upcoming dronedarone. Certainly some may work better in some patients than others, but once you fail one drug (especially amiodarone), the odds of having long-term success with another drug is limited (dofetilide might be an exception here, but can only be used in patients with normal or near-normal kidney function). Sometimes, though, I find its helpful to try to determine what causes some one's fatigue. Is it the rapid heart rate, the irregularity of the heart rhythm, or the loss of mechanical synchronization between the atria (top chambers) and the ventricles (bottom chambers) of the heart. If the patient complains of racing heart rhythms, then using rate control medications like beta blockers or calcium channel blockers may be all that's needed to improve their symptoms. If the patient complains that the irregularity of the rhythm is what bothers them, then there is a good chance that a pacemaker might improve their symptoms since their rhythm can be regularized after implanting the pacemaker and then ablating the AV node. While this has the downside of rendering someone pacemaker-dependent for their heart to beat, in the older age group, this therapy has been shown to demonstrate marked improvement in symptoms with only the need for ongoing anticoagulation without the potential side effects and toxicities of antiarrhythmic medications. In the older crowd, this might not be such a bad option. Finally, if the person's primary complaint centers on fatigue, there are two options: (1) do nothing and continue anticoagulation (since fatigue may be a difficult symptom to resolve) or (2) consider catheter ablation of the atrial fibrillation - provided the risks of the procedure are carefully reviewed. In a small subset of patients, octogenarians were thought to be as safely treated with catheter ablation as younger adults. This study was limited, however, by its retrospective design and limited numbers. What has not been shown yet is a mortality advantage to this approach and certainly there are plenty of risks with this procedure. Finally, the need for follow-up after any one of these therapies is undertaken might vary and influence which therapy to recommend. The take-home message here is that no two patients' needs are alike and sometimes it's tough to always make the "perfect choice." Anyway, just some thoughts. It'd be interesting to read what others might recommend. I attended a lecture on severe heart failure this morning by the folks at University of Chicago and they mentioned this helpful website from the University of Washington to determine 1-, 2-, and 5-year mortality in patients with severe heart failure. Plug in things like blood test results, functional class, presence of devices, etc. and it estimates prognosis. It does not include outcomes in patients with left ventricular assist devices or after transplant, but for doctors seeing severe heart failure patients without these destination therapies, it might patients understand the effect of their medications and devices on their survival. Is flooding Congessional e-mail in-baskets with form letters how we're influencing health care policy decisions today? If so, God help us. Amazing what we can do these days with devices. Sometimes, it makes for interesting chest x-rays. So, how many devices can you find? Their use? Yep, America's looking at $11 trillion dollars of debt. And we're just getting started on key "reform" in health care with a "$634 billion dollar reserve fund." "By first identifying a large pot of money to underwrite health-care reform -- before laying out a proposal on who would be covered or how -- Obama hopes to draw Congress to the bargaining table to tackle the details of a comprehensive plan. And so Congress, with their special interest constituents, headed to the Health Care Summit on Capital Hill in March like bees to honey. Look at them. Didn't they look sincere? Certainly their conflicts of interest had nothing to do with their dazzled enthusiasm, right? "A Commitment to Fiscal Responsibility: Barack Obama will pay for his $50 - $65 billion health care reform effort by rolling back the Bush tax cuts for Americans earning more than $250,000 per year and retaining the estate tax at its 2009 level." Wait. Isn't the tab already an order of magnitude higher at $634 billion? Could the White House's own website be understating the real costs of health care reform? If so, where else will the money be coming from? Perhaps our Congressmen should look at the upcoming budget for health care reform a little bit closer before moving forward with blanket handouts, otherwise, they might become just as blind-sided as they've been when we learned that AIG's bonuses were guaranteed in the unread Stimulus Package they passed. Addendum - 20 March 2009 16:41pm: Senator Dodd: "Oops." Change of Shift, nursing's weekly compilation of favorite blog posts, is back at Emergiblog and there's nothing like a save to bring home why we love what we do. We've heard so much about Congress investigating the conflicts of interest between doctors and the medical device and pharmaceutical industries, but is any one asking about the conflicts of the senatorial "Board of Directors" in directing health care policy? This morning for the Wall Street Journal Health Blog, I was suprised to see one name in particular on the Health Care team standing in for Edward Kennedy: Senator Christopher Dodd (D-Conn). Major sources of unearned income: Rental income on Ireland cottage, $5,001-$15,000. Major liabilities: Mortgage on Ireland cottage, $100,001-$250,000. Narrative: According to their tax returns, Dodd and his wife, Jackie, had a combined income of $719,064. Besides Dodd's salary, the amount includes director fees his wife earned for sitting on the boards of Blockbuster Inc., Cardiome Pharma Corp., the Chicago Board of Trade, Javelin Pharmaceuticals, Broodale Senior Living and Legacy Partners Group LCC. His wife has money market funds, IRAs, stocks in companies including Blockbuster Inc. and stock options in Cardiome Pharma Corp. and Javelin Pharmaceutical Corp. worth $1.37 million-$3 million; she has land in Wasatch, Utah, worth $15,001-$50,000. ... at least according to this old Medical Specialty Aptitude Test from the University of Virginia. And Cardiology? Well, it was in the top ten. I wonder if this has ever been validated? PS: Beware: the test has 130 questions, but they're easy - kind of - you'll see. "Mariana de la Torre, 28, speaking of living illegally in the United States and a medical odyssey that saw her steal another woman's identification, undergo treatment for cervical cancer at three Illinois hospitals and rack up $530,000 in medical bills covered by Medicaid and other charity programs. Mariana de la Torre, 28, cries at Trinity Medical Center in Rock Island as she talks about her children in Mexico. De la Torre, who came to the U.S. illegally in 2006, was diagnosed with cancer in 2007 but put off treatment for several months because of her lack of a proper ID. She was first admitted to the medical center in May 2007 by using someone's ID and medical card, but her cancer became terminal. Her only wish later was to return to Mexico to see her family." One patient. Over half a million dollars. Of another American's health insurance. Granted, it's an extreme example. But some have estimated that 10 million of the 47 million uninsured in America are here illegally. Importantly, this story is not just about this patient, but rather about the pressing global health concerns that are right on our border, not to mention all over the world. With this perspective in mind, it is clear that our current proposals for health care reform are unambitious. How do we address the endless needs presented by undocumented immigrants without dealing straight-on with the immigration problem? Is there an American consensus about how we should divvy up our health care dollar when it comes to these health care crises? There is a way that every hospital (and every employer for that matter) could have a 98% accuracy in documenting whether a patient/employee is legal: the Department of Homeland Security's E-Verify program, but so far we have lacked the political and moral resolve to implement such a system. So what is our plan? This story points out to all of us that continuing to look the other way is a failed strategy. We need an honest discussion of our limitations, not just manipulation of America's compassion. Addendum: De la Torre's follow-up story that appeared today in the Chicago Tribune and inspired this post. Congressman Pete Olson has just discovered the wonders of electricity - for the heart, that is. Here's wishing him a speedy recovery. In anticipation of an upcoming New York Times article to run this weekend, I just received my 'dear doctor' letter from Medtronic updating the status of their advisory Sprint Fidelis defibrillator lead. Reportedly, the NYT article will highlight a recently reported study published online before print from the medical journal Heart Rhythm that describes a higher-than anticipated failure rate from the lead. These data are in contrast to other published data assembled in Medtronic's 'Dear Doctor' letter. "The FDA’s MAUDE database currently has 107 Medical Device Reports (MDRs) that include allegations that the Fidelis lead may have caused or contributed to a patient death. Most of these MDRs were not initiated by medical professionals; the majority were initiated by family members or attorneys with minimal supporting data. Medtronic’s Independent Physician Quality Panel has reviewed 89 of the 107 reports. It is not possible to determine cause of death with certainty. The Panel has identified 13 patient deaths in which a Sprint Fidelis lead fracture may have been a possible or likely contributing factor. The Panel noted that four of the 13 deaths were associated with lead extraction, highlighting the risks associated with that procedure. With the exception of the appearance of deaths associated with lead extraction, no new or unexpected trends have been observed." NYT article 13 Mar 2009: "Medtronic Links Device for Heart to 13 Deaths"
A Bad Day in the EP Lab? "Well, Mrs. Smith, we have good news and bad news. The bad news is that you do not have the Medtronic implantable event recorder in your chest. But the good news is that you can listen to tunes any time you like with over 4 GB of memory and the potential to play 1000 songs!" These terms to health care policy wonks are like Viagra, Cialis and Levitra are to a middle-aged divorced man. With the emphasis on "cutting costs" and "efficient us of health care resources," we're heading toward these presumed cornerstones for health care delivery lock, stock and barrel, never stopping to ponder the consequences of these policy initiatives to those most likely to use the system: the elderly. "Many older people, often retired, are summoned by their general practitioner for an annual health check. They may feel reasonably well, but the NHS does not always permit such euphoria. They may be told that they have hypertension or diabetes or high cholesterol concentrations; that they are obese; that they take too little exercise, eat unhealthily, and drink too much. The quality and outcomes framework (QoF), the scheme that rewards NHS general practitioners for good performance, awards points, with related payments, for each documentation. Many of these patients are told to have more investigations. Eventually, most are started on pills. Few seem to be considered not at risk for something. Thus, of those who thought themselves healthy, a number will return home as patients. And they may be scared and no longer comfortably aging. What kind of medicine is this? It is politics taking preference over professionalism, obsession with government targets superseding common sense, paternalism replacing personal advice. It seems that many Western governments regard all people aged over 75 as patients. This trend has many causes. These include overenthusiastic and uncritical interpretation of various guidelines, the payment of GPs by NHS trusts for ticking boxes, the demands of government health economics and of insurance companies, and the relentless pressure from the drug industry." He argues that many doctors do not know the difference between relative and absolute risk, that most studies to evaluate therapies are not performed on the elderly, and that the numbers needed to treat to help one patient might subject as many as 74 others to therapy. "Primary prevention among young and middle aged adults should be encouraged and supported. But should this apply equally to fit elderly people? Nowadays few elderly people are allowed to enjoy being healthy. A bureaucratic demand for documentation can lead to overdiagnosis, overtreatment, and unnecessary anxiety. Preventive action may be irrelevant and even harmful in elderly people." And, in turn, I might add, drive unnecessary costs. If you can, read the whole thing. Addendum: Scottish Review: One patient's take from the article - I particularly liked the last paragraph. 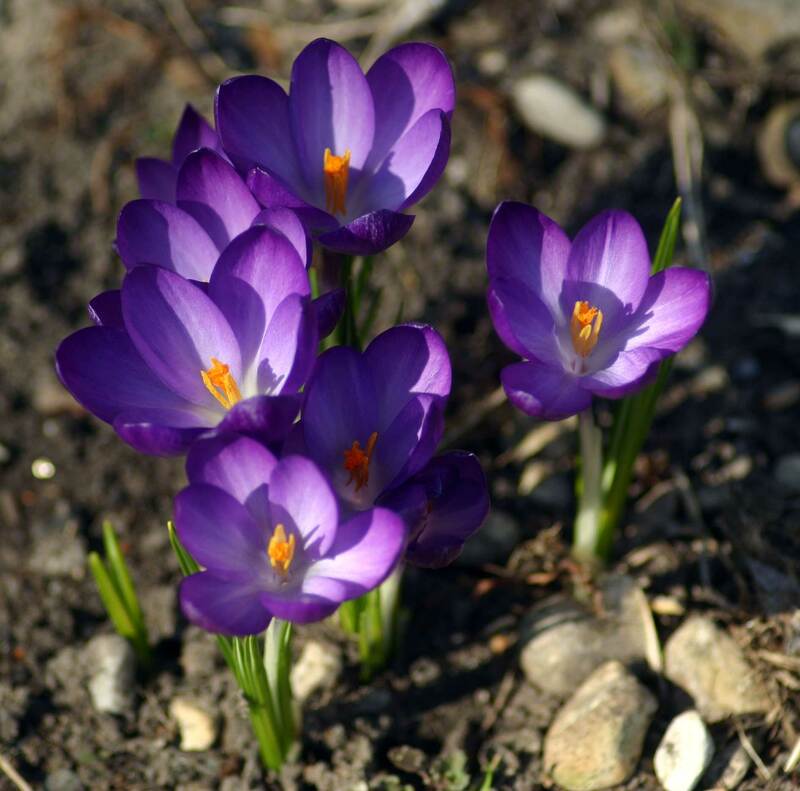 Spring time’s in the air. Can’t you feel it? I can’t help but feel it. And see it. That’s because it seems like half my nursing staff are pregnant right now. Despite all the bad news in the economy, life goes on. But this morning I was bothered by a conversation I had with one of our nurses. She shared with me the guilt she felt after failing to sign up for the Cord Blood Registry promoted by her obstetrician. She simply did not have the $2,700 registration fee and didn’t want to pay the additional annual maintenance fee of $150. But not only did she get to feel the guilt of not doing what she perceived her doctor thought might be best for her child, I learned that she was also chastised by a fellow pregnant girlfriend who elected to sign up for the service. You can even sign up for their free information kit and learn from Suzy Orman how you can afford this service. A careful review of the clinical applications for this science demonstrate that many of these therapies are experimental or have only been anecdotally applied. While there might be a place for this research eventually in health care, we must ask ourselves to what extent we want to market this unproven and costly service to our easily-influenced and vulnerable young mothers-to-be. What incentives might there be for the obstetricians who recommend this service? Might they be involved in stem cell research themselves? Certainly, one can make the case that such a service might be welcomed for mothers from families with inherited diseases, but to market this service lock, stock, and barrel to every expectant mother out there? I don't buy it. Somehow, this stinks of someone just wanting to make a buck. I failed to link to this week's edition of medical blogging's Grand Rounds over at Doc Gurley's place, presented live no less. Bizarre. I guess when we're working up chest pain in the young patient, we should inquire about bullet holes in the side of the house. Should Doctors Report Patients with Blackouts? Today's Chicago Tribune leads its North Chicagoland Extra section with this headline: "Grieving father seeks legislation: Daughter killed in crash caused by driver who ignored doctor's warning on blackouts." The story describes the efforts by Attorney Maurice Grimes to advocate for legislation to require doctors to report all patients with blackouts (syncope) to state officials, who could then revoke their drivers licenses. You see Mr. Grimes lost his lovely 27-year old daughter after she was involved in a head-on collision with a 30-year old man who had experienced blackouts before and was advised not to drive by his doctor. The man was convicted of reckless homicide, sentenced to three years in prison, and released after 5 months and remains on parole. But Mr. Grimes, a Chicago lawyer, remains convinced that "it was murder" and is proposing legislation requiring physicians to report all patients with syncope to state officials. These cases always tug on emotional heartstrings, and I do not blame Mr. Grimes for pursuing what he feels is the right course of action, but it might be helpful to review our experience with such legislation's effectiveness again. After all, there is a considerable body of research in this area in people with defibrillators and pacemakers, not to mention epilepsy. in fact, I have reviewed these issues before. Even more recently, the TOVA (Triggers of Ventricular Arrhythmias) trial, demonstrated that people with defibrillators had an especially low incidence of arrhythmias resulting in car accidents: 1 episode per 25,116 person-hours spent driving. While I appreciate the Grimes family's desire to "make something useful" come from their daughter's death, that desire must be balanced with the individual's need for mobility and access to education, employment, health maintenance, and personal enrichment opportunities that, ultimately in our society, are highly dependent on the automobile. Being unable to drive puts limitations on the individual, which results in both emotional stress and loss of economic status. For this reason, and the other reasons stated in the original Tribune article (especially the difficulty enforcing such legislation), I can only hope that Mr. Grime's proposal never sees the light of day. "Accordingly, and to the author's personal experience, navel lint seems to be a phenomenon that affects primarily male adults." Steinhauser found that hairs around the belly button have a scaly structure that pulls fibers from clothing and then directs those fibers—along with dead skin, fat, sweat and dust—into the belly button. He wrote that scales on the hair act like "barbed hooks," catching a "melange of foreign materials" and coalescing them into easily removed clumps of lint. Thus, Steinhauser posits, men with abdomen hair likely have "cleaner and more hygienic belly buttons than those who do not"—provided, of course, they go to the trouble of actually removing the lint clumps. "Part of the solution to this problem will be to lay off people. I'm not sure how many yet, and I am hoping you can help me figure out how to minimize the number by using more creative and less disruptive ways to solve the problem. I am going to hold some town meetings in the next several days to get your thoughts about alternative concepts. I will lay out some ideas here, so you can be thinking about them. You can write back now, or you can tell me in person later. Perhaps you will want to discuss them with your colleagues. Perhaps you have better ideas to suggest. We'll soon set up an electronic chat room, too, to permit people to share their thoughts more broadly with the community." As of this moment, no one's replied to this post. Thank God journalists in the United States can spew forth opinion in the name of self-righteousness and indignation free from interference from faceless bureaucrats. If bureaucrats were in charge, they might require that journalists make generalizations about a profession they know nothing about to push their socialist-leaning agenda in the name of readership. Oh wait, they are. I am so relieved that journalists can still breathlessly demonstrate why doctors hate science after never spending a day at a patient’s bedside. Welcome to socialism’s scientific method. Doctors, you see, make more money than journalists. Therefore, they are inherently evil since everything they do is about money. For example, doctors use expensive hypertensive agents because all patients can be treated with simpler, much less expensive agents that have been “definitely shown” to be more effective. Why? Because they are easily corruptible by evil pharmaceutical and device companies that have added nothing to our pharmaceutical or therapeutic armamentarium in the last ten years. It’s hard not to scream when journalists make such sweeping generalizations about doctors without any attempt at identifying the potential problems inherent to surrendering individualized care to a central governmental Politburo in the name of the “efficiencies and cost savings” of comparative effectiveness research. After all, what's $1.1 billion when we're talking trillions in government bailout? But where has this $1.1 billion in your tax dollars already gone? Well, much of it has gone to the very “efficient” and “non-biased” bureaucratic Agency for Healthcare Research and Quality (AHRQ) or the National Insitute of Health. Please recall that it was the AHRQ that helped fund the “non-biased” research that advocated for adding cardiac resynchronization therapy (CRT) to hospital guidelines for the treatment of heart failure with barely acknowledging the investigators’ and the American Heart Association's deep ties to the device industry. (Hey, it was a sound scientific study based on chart reviews!) And of course, we can still thank the NIH for their bloated and hightly efficient National Center of Comparative and Alternative Medicine! Where would we be without their ongoing work on echinacea that showed it was worthless for the common cold? I feel relieved (don't you?) that because some critized their study that the echinacea dose was "too low" that they still accept proposals for continued work in this area! And when the journalist needs a pacemaker, what does she say? "You're not going to give me one of those old, recalled ones, are you? I want the best!" Thank God the government and their left-leaning journalistic sycophants can provide us with all the answers. Certainly, us “doctor-scaremongers” and our patients have nothing to fear now that they’re in charge. Addendum: Also republished at MedPageToday. (Additional commentary there). Robin Williams is hospitalized in the ICU in a Miami Hospital with "heart issues." Next, we'll soon learn that the 8 people searching the electronic medical records were fired for HIPAA violations. Barbara Bush had an aortic valve replacement at Methodist Hospital in Houston and is "doing fine." BE AWARE! The prices quoted here may be in error for a multitude of reasons, including: erroneous information given by radiology center staff, improper recording of the information by Leslie's List(TM) staff, improper entering of the data into the database, and price changes made by the radiology center since we last called them. "Just wanted to clarify the pricing of the testing included on our site. We always ask what physician reading fees are, as we realize that can tack on another 10-20% or so to the total charge. In many cases, the fee is included. In other cases, okay I'll just say it- often in the large hospital facilities- noone was ever able to tell us what the fees were, even after several calls to different deparments in the hospital. So in those cases, the fee is not included. In LesliesList.org you can click on the individual sites on the search results and you can see the breakdown of charges. Lastly, we only include radiology tests that each radiology site is fully accredited to do by the American College of Radiology." Although the number of centers is limited, it demonstrates the wide price differential between centers. CT of the chest with and without contrast can vary between $543 and $2498, depending on where its performed. What I also found was that the type of CT (16- or 64-slice) was not mentioned in the site (newer scanners might have different prices), but still, I found this site easy-to-use and informative. So go ahead, check it out and compare. It might just save you a bundle. h/t: The Chicago Tribune's Triage blog. Better Care or Economic Necessity? Now with the Dow Jones Industrial Average parked to it's lowest level since 1997, hospitals are doing the best they can for their patients (and rankings) by shortening their door-to-balloon times for heart attack patients by mandating that their cardiologists be on site in the hospital 24/7. It's such a simple thing to accomplish in the name of patient care, right? But there's a dark side to government idealism: doctors jumping through hoops in the name of "quality" as they struggle for economic survival. As competition between hospitals for patients continues to heat up, the press for perfect care becomes more acute lest the hospital's Medicare reimbursements fall. Teams of staff are mobilized to study the door-to-balloon time process. If hospitals find they can't shave enough seconds off the door-to-balloon time process to correct this measure, they resort to constant in-house staffing spun, of course, as "better care." The pressures on doctors to "perform," faster becomes more acute, but so does the toll on their personal lives. Unfortunately, if hospitals are not careful, they may lose doctors to their competitors because of other, non-economic, real life incentives. Then what will become of the patient's door-to-balloon time? After seeing the market plunge another 300 points today, perhaps it is time for an uplifting story. It was a day that started out like many others: group meeting, hurry to the lab, meet my patient before their procedure, review the surgical plan with the staff, perform the surgery, orders, greet the family to discuss the case, electronic note, discharge summary, copies to the referring(s), see a consult, then head off to clinic. 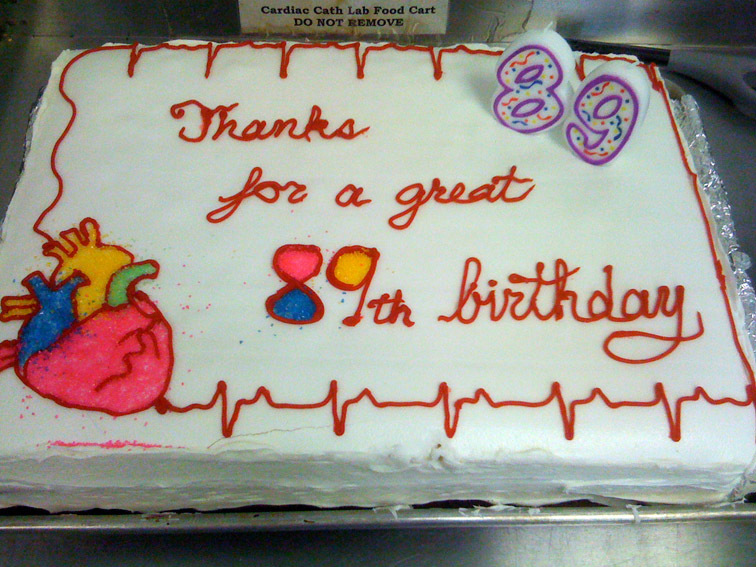 Before leaving, I came down to the cath lab break room to a cacophony of folks milling about and eyeing two monstrous pizza's in the center of the table with a very elderly gentleman with a radiant smile who was surrounded by nurses and technicians and eagerly greeting those that entered. "Was it a drug rep," I thought. "No. Too old for that. And, oh my goodness, is that a plugged tracheostomy tube beneath his collar? What the...????" "Doctor Fisher, we'd like you to meet Mr. Jones (not his real name), he's one of our PARTNER patients whose celebrating his birthday with us today as a way of saying thanks." (For those unfamiliar, the PARTNER Trial is a study for Edwards Lifesciences testing percutaneous aortic valve replacement technology). "Thank you," he said crushing my hand while standing on his own power, his voice hoarse from the trach. "I can't tell you how great I feel. I couldn't do anything before my procedure." "But sir, I'm a heart electrician, not a plumber... and I was just passing through..."
"No matter! Glad you're here!" he exclaimed. Imagine: birthday cake and pizza for our staff provided not by a drug rep or the hospital, but a grateful patient with a heart of gold that took a bit of his precious time to say thanks. Tell me, does it get any better than that? Thanks, "Mr. Jones" and may you have the happiest of birthdays! Mark Taylor, a veteran health reporter for Post-Tribune, tells the story of his heart attack rather humorously. Gratefully, all turned out just fine. But his story demonstrates the most common reaction to new chest tightness: rationalization and denial. And how many times have I heard similar stories? More often than not. I would even go so far to say his story is typical. Unfortunately for many others, not all of these stories had such happy endings. ... this is why you're fat.